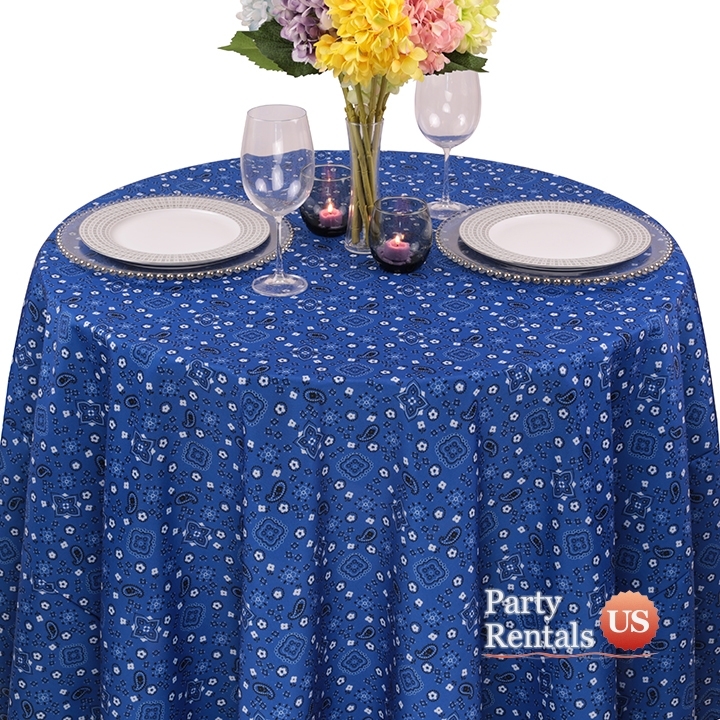 For your next barbecue or intimate get together, consider our polyester "Color Prints Bandana Tablecloth". Choose from red or blue and cover your table in style. The flower pattern is whimsical and will help to maintain a casual atmosphere.